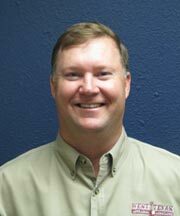 Clint Bumguardner began WT Appraisal in 1992 as a real estate appraisal and consulting firm specializing in Agribusiness. He is known for his expertise in the modern agricultural and rural environment. He provides real estate and consulting services throughout the United States. Clint is an Accredited Senior Appraiser (ASA) and a member of the Appraisal Institute (MAI), and is licensed in multiple states. He has numerous certifications and licenses.